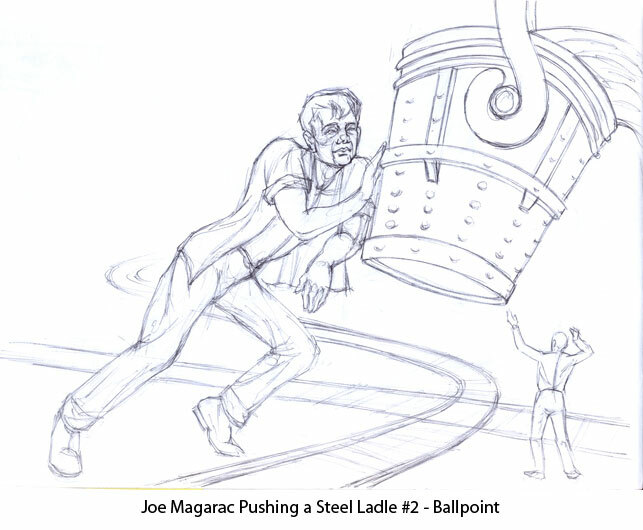 Why a page on Joe Magarac? 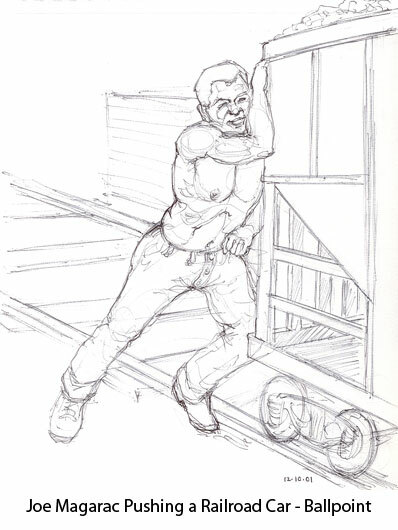 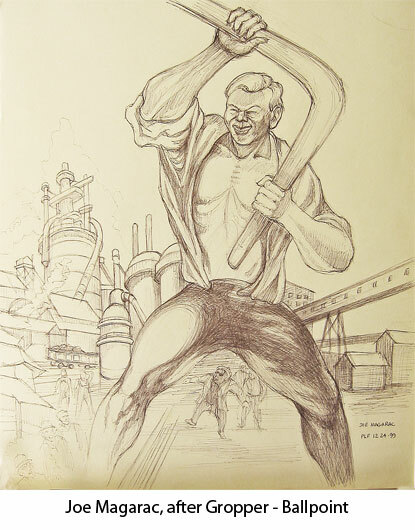 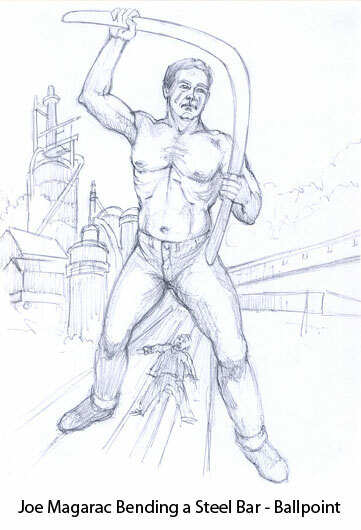 In the early 1950s I attended Saturday morning art classes at Carnegie Tech (now Carnegie Mellon), and went down to Carnegie Museum to see the Carnegie International Exhibit, which included William Gropper’s painting of Joe Magarac, a mythical steelworker on the order of Paul Bunyan. 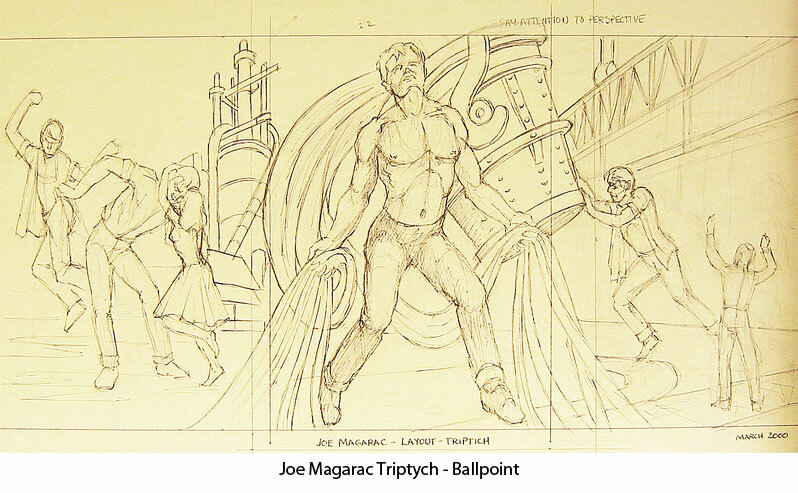 The painting was very large, well over six feet tall, and greatly impressed me. 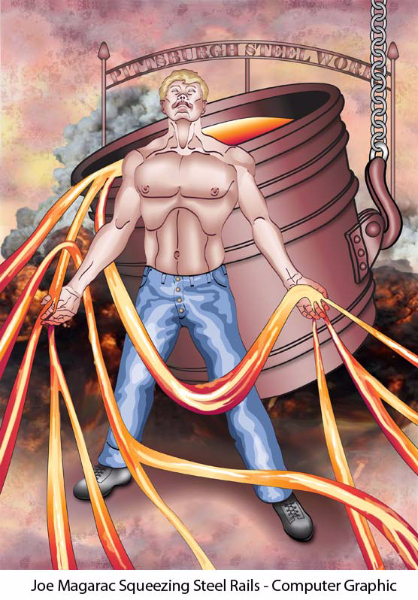 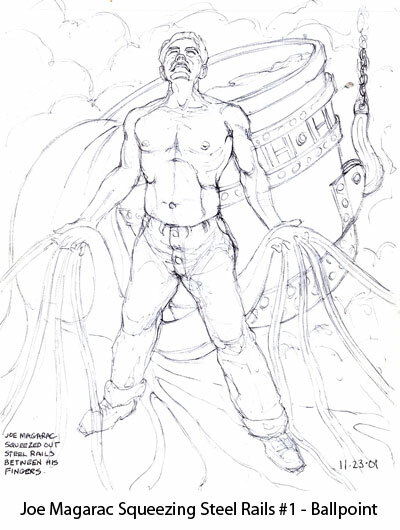 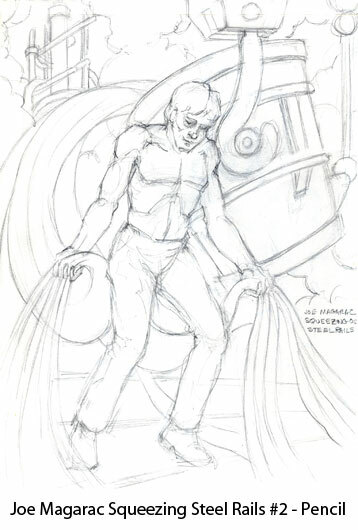 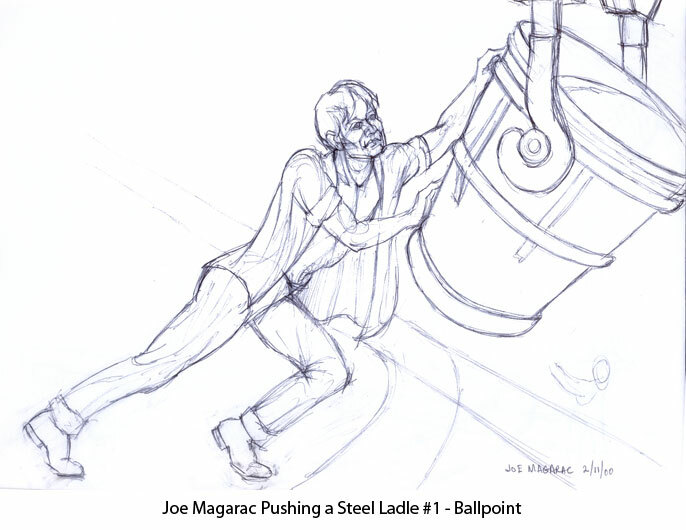 Since I resumed my artwork after retiring, I have often thought of a series on good old Joe, and my sketches (plus one computer graphic) appear in the following slideshow.